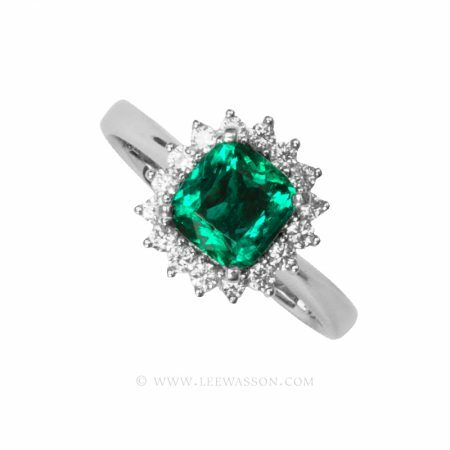 Dark and subtle sparkle glows from the depths of this green nugget of beauty! 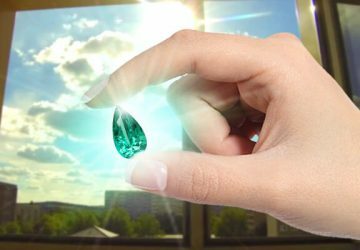 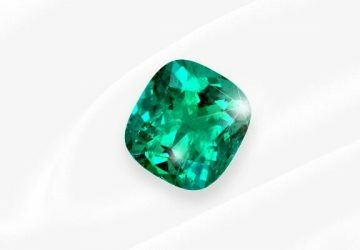 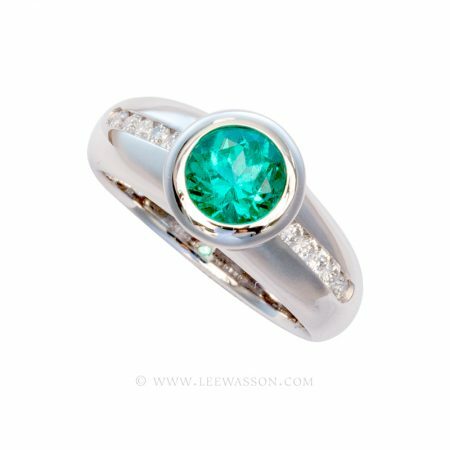 Over a carat of the rarest most sought after precious gemstone on the face of the earth! 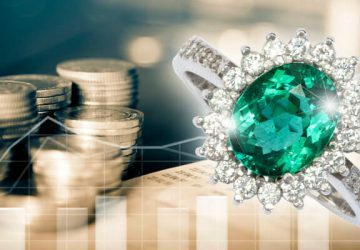 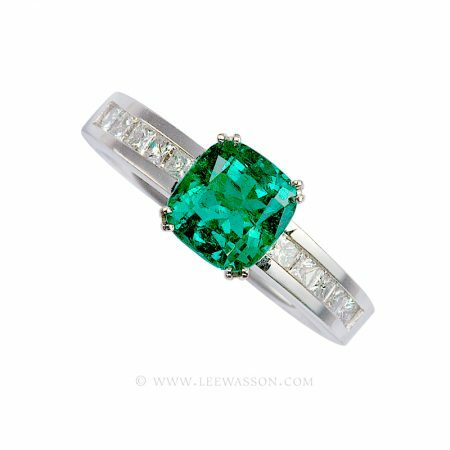 0.19 carats of bagguette cut, White H Color, Vsi 1 Clarity Diamonds expertly channel set into the shank of this 18k white gold emerald ring add extra contrast setting off this lovely herb green emerald. 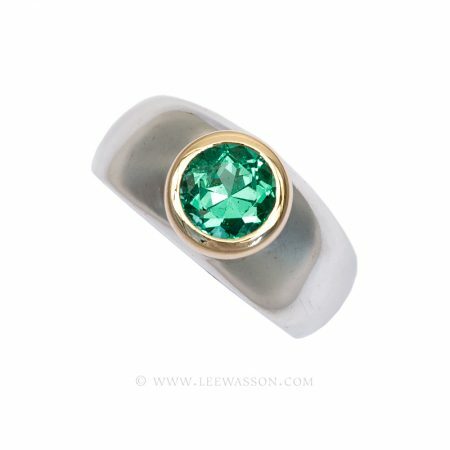 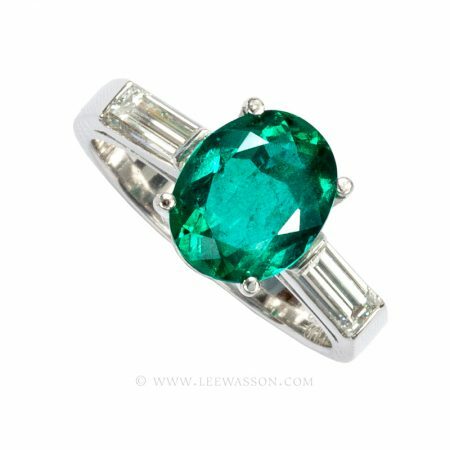 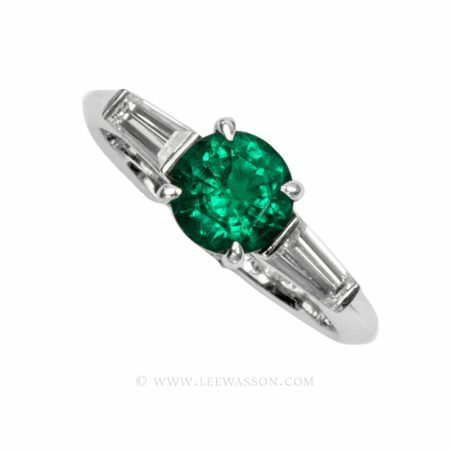 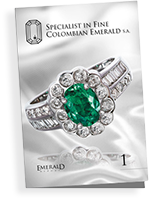 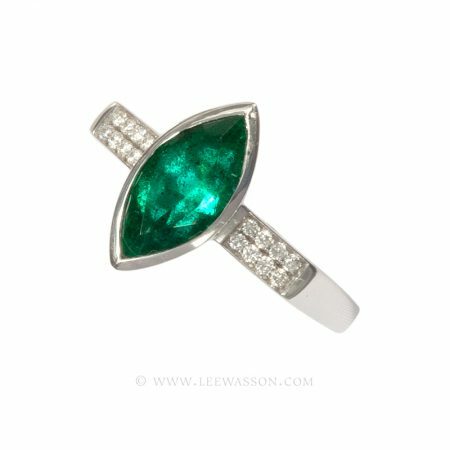 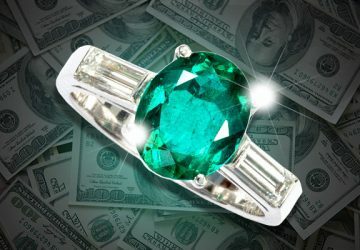 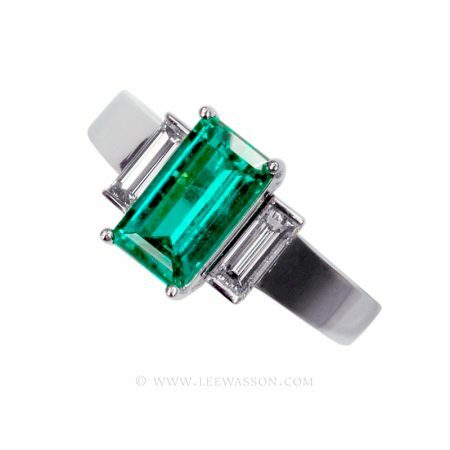 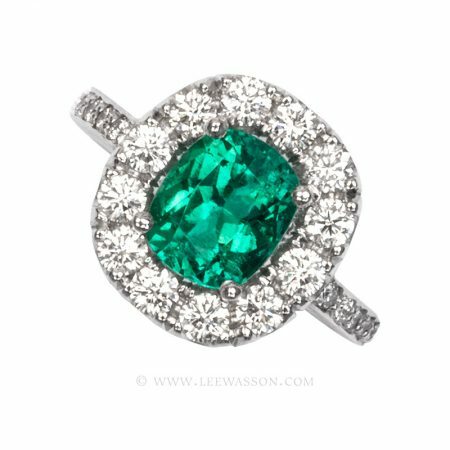 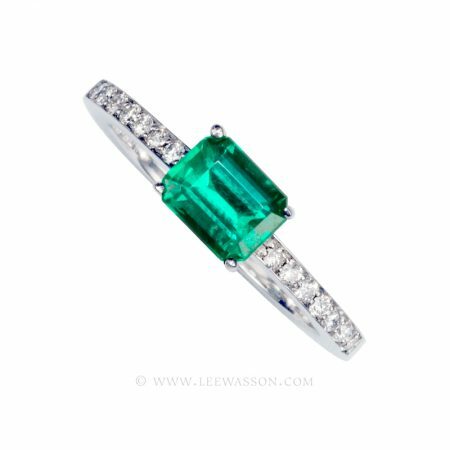 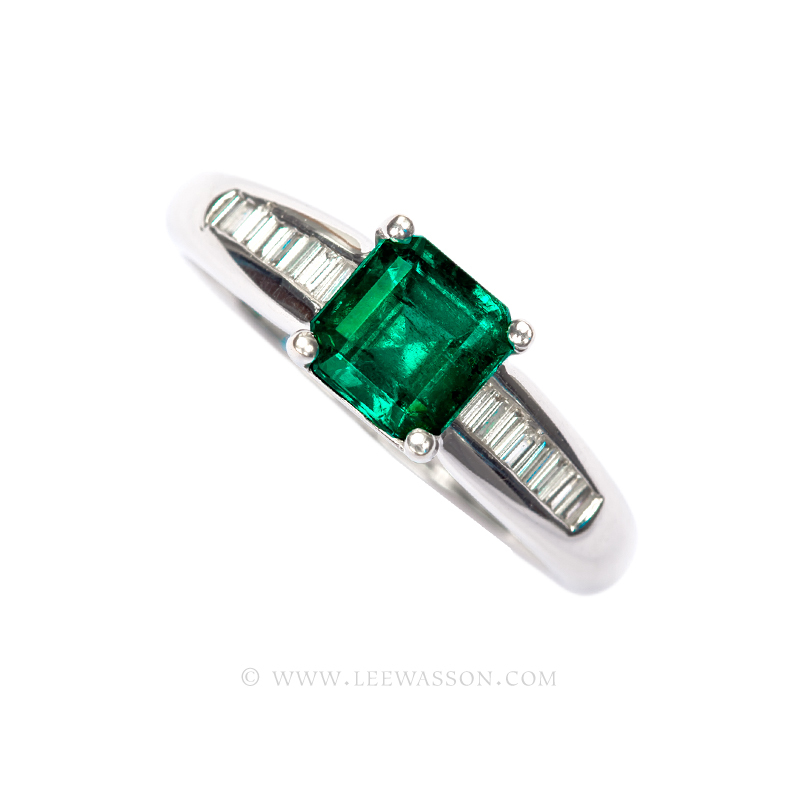 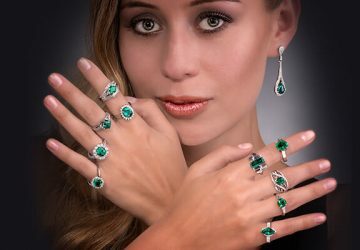 A fabulous Colombian Emerald ring to make every day the most beautiful ever!